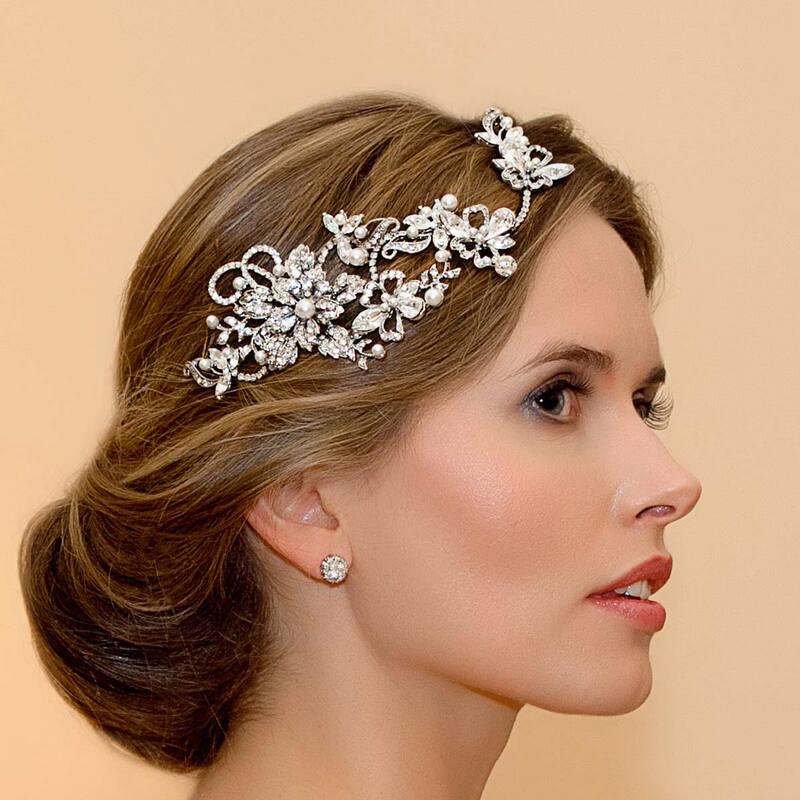 Our Fleur Vine Headpiece is a beautiful headpiece full of the romantic charm of vintage hair accessories from the fabulous 1940s with a hint of 1920s and 1930s charm. 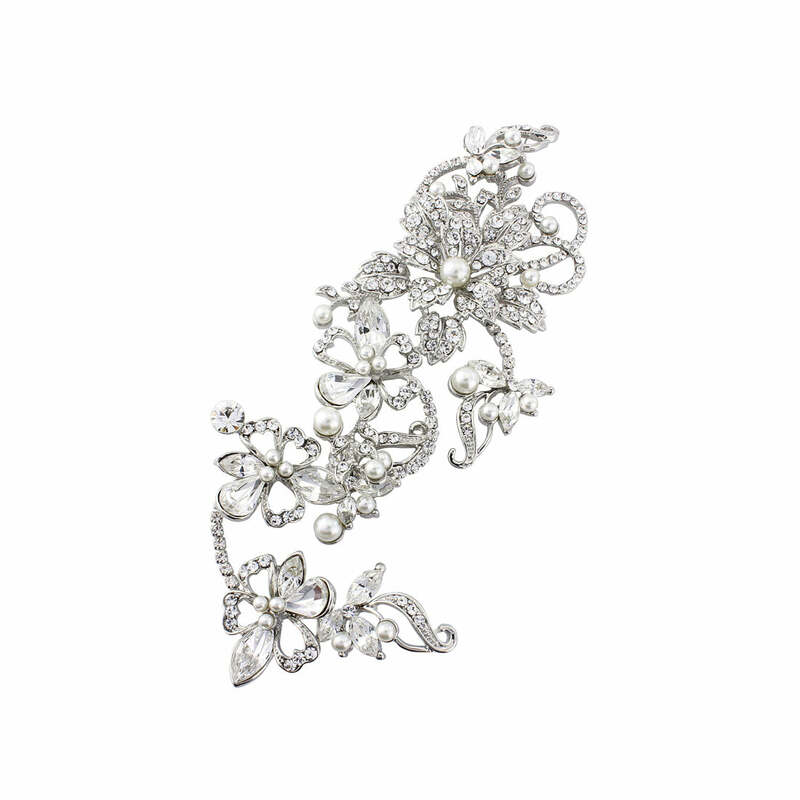 Designed as a trailing floral spray of sparkling flowers encrusted with petite clear Austrian crystals and enhanced with shimmering ivory faux pearls and marquise clear crystals, this exquisite piece will have lovers of vintage accessories mesmerised. With loops on the underside for securing to your hair with Kirby grips, Fleur Vine is a versatile hair accessory that looks divine worn at the side of the head, over a classic French pleat or placed above a low chignon for divine 1940s style. Brides will fall in love with the enchanting beauty of this stunning piece which will delicately sparkle as you glide down the aisle. Perfect to enhance floral detailing on a sensational wedding gown, coordinate with a pair of understated bridal earrings and let Fleur Vine Headpiece take centre stage.